Sales has become unnecessarily complicated. Besides selling, salespeople have several non-revenue generating responsibilities. Those include recording all their activities, analyzing data, producing performance reports, and creating sales collateral. To meet their quota and complete all their tasks, many sales reps arrive to the office early and stay late. Despite the longer hours, sales still suffer. Even with a busy sales force, companies have become less productive. They spend a near-equal amount of time (31%) searching for sales collateral or creating their own branded content. To put this into perspective, the authors of the study write, "In a 1,000-person company this leads to $50M in lost revenue opportunities and a waste of more than $5 million in annual salary costs." Yet, businesses are blind to these invisible costs. Nonetheless, they face the challenge of enabling their salespeople to spend more time selling. Below are nine tips to help sales reps save time and drive more results. For years, entry-level salespeople do the same mindless tasks over and over again. Albert Alexander of sales automation company Sendbloom writes, "It's a familiar story: an entry level SDR copy-pastes emails. It's all the same copy, swapping in new first names and companies to make it feel personal. They do this anywhere from 50 to 300 times a day. It's a rite of passage. They show grit and commitment. And a year or two later, after they've booked enough meetings, they're allowed to start closing deals--the real work." Despite the low cost of labor, employing an army of junior sales reps to prospect is inefficient. Alexander continues, "That model is going to die." He explains, "SDRs shouldn't be machines. They should command machines. Everything I just described can and should be automated. Once an SDR presses 'go,' their outbound campaign should run itself until they get a meaningful reply. We still need SDRs--picking prospect companies and fielding replies takes a human touch. But everything else we can give to the machines. In other words, the new SDR isn't a foot soldier. He's a general, focusing on strategy and key contacts while his robot army does the grunt work." Over email, Ross Epstein, CEO of Sendbloom insists the answer is: "Allow reps to strategize so that automation can take care of the mundane tasks." To be more efficient, salespeople should automate laborious processes like prospecting. That way, sales reps can focus on the harder parts of the sales process, guiding customers to close. In eight years, marketing and sales expert Spencer X Smith led thousands of in-person sales meetings. His advice to salespeople is: "When scheduling meetings, whether they're in-person, via phone, or Skype, suggest both a specific date and time for the meeting so you can batch your meetings together. If you let the prospect/client choose the date and time, you have to work around their schedule. By offering options, you're both accommodating them and making your job much more efficient." To meet his quota of 16 meetings per week, he marathoned them over three days. With the two remaining work days, Smith followed up with prospects and delivered proposals. By scheduling back-to-back sales meetings, he made time to approach sales more thoughtfully. Smith shares, "Before I learned to suggest specific dates & times, it would take an average of 4 1/2 days to do those same meetings. The increased follow-up activities on my office days allowed me to sell more and win sales awards." Of course, batching activities has another powerful effect. It allows salespeople to focus on a specific type of task for long periods of time. This combats the urge to multitask and the negative consequences of context switching. According to the American Psychological Association (APA), "Even brief mental blocks created by shifting between tasks can cost as much as 40% of someone's productive time." A study from SiriusDecisions suggests, "Fully 60% to 70% of content churned out by B2B marketing departments today sits unused." One of the main reasons this happens is a lack of communication between marketing and sales. As a result, salespeople lose 30 hours each month (approximately seven hours each week) looking for or producing sales collateral. Instead, they could cut out hours of unnecessary work if they knew exactly where to find the collateral they needed. In some cases, they were not even aware that those materials already existed. "For organizations, decreasing this wasted time and increasing selling time is an important goal, and one that's directly tied to revenue," says Mike Kunkle, senior director of sales enablement at Brainshark. To do so, companies need to place all their sales collateral in a central repository. Kunkle adds, "Effective use of sales enablement software puts the right content (tailored to industry, persona, sales cycle stage, etc.) in the reps' hands at the right time in the buyer's journey. It decreases time reps spend searching for the right content or re-inventing the wheel - and helps ensure that content used is up-to-date, approved and on-message." Salespeople need to step away from their sales scripts. First, avoid agonizing over the right words to say. Then, remember to ask prospects about their goals and needs. Kunkle advises, "Stop doing demos and presentations without having clear needs uncovered during discovery. And stop sending buyers things they don't care about or ask for." Sales reps that want to effectively qualify leads invest in learning more about the client's objectives. Then, they tailor their pitch appropriately instead of reciting the same canned message again and again. "It's important to provide and present content that's as relevant and helpful as possible -- and is focused on the buyer's unique needs and circumstances," insists Kunkle. Sales reps make the mistake of operating as a one-person army. Unfortunately, they tend to forget they have a whole company supporting them. Instead, they get overwhelmed with the responsibilities of networking, nurturing leads and closing sales. Then, they oppose collaboration and champion self-sufficiency. Consequently, salespeople fail to realize that they can achieve more at their jobs as part of a team. When sales folks ally with marketers, they generate better results without exerting more effort. In teams, sometimes they even work less. Doug Winter, CEO of sales enablement platform Seismic, says, "Sales has a 15% increase in win rate when sales and marketing teams are aligned. Sales and marketing cannot exist as independent silos; both need each other to succeed." To shave hours off of their work week, salespeople need to be self-aware about their habits. Eric Esfahanian, senior vice president of Gryphon Networks, recommends, "Use tech to get accurate, objective activity data on your behavior." Docurated's 2015 State of Sales Productivity Report suggests salespeople forfeit eight hours of their work week on non-productive activities such as CRM management and data entry. And while technology is the cause of the problem, it is also the solution. "With the myriad tools that log activity directly into CRM from the network, the notion of requiring reps to manually log activity is going backwards -- especially when the activity you do log is impossibly brief," says Esfahanian. Knowing how long each responsibility takes to complete helps salespeople better manage their time. With data, they can also identify areas for process improvement. Or sell five hundred $2,000 projects. As average deal size grows, salespeople need to close fewer deals to reach the same sales target. To save time and energy, savvy sales reps move upmarket. When Adam Honig (now CEO and co-founder of Spiro Technologies) led sales at Cloud Sherpas, he managed seven direct reports. At one point, two were underperforming. To improve their numbers, Honig asked them to pursue bigger contracts. "The answer was to sell bigger deals and to ruthlessly stop focusing on the small ones," says Honig. By moving upmarket, Honig made it easier for his sales reps to meet their sales targets. To trim hours off of their work week, salespeople should take a "less is more" approach. An underutilized sales shortcut is partnerships. Salespeople should actively engage businesses that offer access to a larger client base. Many times, a single partnership can make a company's quarter. The best part is leads are pre-qualified and are eager for an introduction. Specifically, Derek Cosgrove, account manager at marketing firm seoplus+, encourages companies to: "Invest in partnerships with bigger companies." Counter-intuitively, quality partnerships tend to happen between competitors. Cosgrove shares, "We have a partner that sends us 10 leads a day. My company is small (10 employees) and this partner basically sends us their scraps, but this has been huge for us." Bigger businesses stumble upon dozens of smaller opportunities that they normally would not pursue. Similarly, smaller companies find plenty of prospects who could use their services but need help from a bigger shop. Relationships like these value reciprocity and are a no-brainer. Often, securing partnerships is easier than bringing a prospect from introduction to close. And instead of a one-off sale, the payoff is recurring leads and sales. To further amplify your referral engine, ask customers to refer someone they know who may enjoy your product or service. Pete Gracey, CEO of QuotaFactory, recommends, "Ask for a reference. Every time I've purchased insurance of any kind, the salesperson closes out of our meeting by saying 'in our industry, we ask each new client to refer me to a friend or family member.' Why not try that in your space? Why wait for automation or marketing to drive referrals for you? Save yourself some massive time and get some free leads." Like with partnerships, client referrals are warm. Typically, those contacts take less time and effort to convert into paying customers. On calls, experienced salespeople listen for cues that suggest interest or reluctance. Over email, measuring message sentiment is more difficult. To get a sense of how engaged clients are to your latest email, track opens and clicks. Sean Gordon, CEO of lead management solution Intelliverse, believes, "Email trackers are the best way for salespeople to shave hours off of their work week, especially since many work within their inboxes for a large part of their day." He explains, "Following up with prospects and leads can be a time-consuming process, but with email trackers, salespeople can determine where to best focus their efforts. Email trackers let users see the status of sent emails, including when they're opened, on what type of device and the geographic location. How is this information helpful? If salespeople see their email is getting a lot of action -- being forwarded, opened multiple times on multiple devices, etc. -- shortly after pressing 'send,' it's worth their time to pick up the phone sooner rather than later since this is likely a 'hot lead' that requires immediate attention." Sales reps would be remiss if they did not track how well their individual emails perform with prospects. To manage their time better, salespeople can send personalized follow-ups to engaged recipients. For unresponsive contacts, they may mark them as dead leads to stop pursuing. 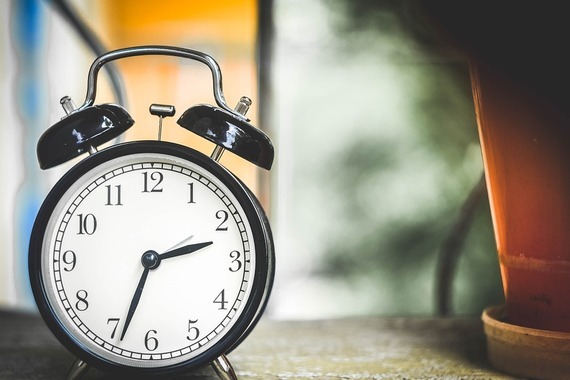 With all these time-saving strategies, what will you do with the extra hours in your day? This article originally appeared on the Tenfold sales acceleration blog and is republished with permission. Danny Wong is the co-founder of Blank Label, an award-winning luxury menswear company. He also leads marketing for Receiptful, a platform to supercharge all customer interactions for eCommerce stores, and Tenfold, a seamless click-to-dial solution for high-performance sales teams. To connect, tweet him @dannywong1190 or message him on LinkedIn. For more of his clips, visit his portfolio.